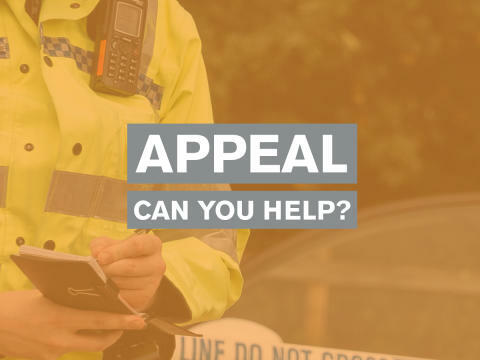 We would welcome your help if you saw or have any information about a street robbery in Littlehampton Road, Durrington, Worthing, at around 5.25pm on Tuesday (9 April) in which a knife was used to threaten and attack two 17-year-old boys. One of the boys was thrown to the ground and received puncture wounds to his upper body, consistent with being stabbed. He was later treated at Worthing Hospital. His wallet containing cash and personal items was stolen. The other teenager accosted was uninjured and nothing was stolen from him. Both had been approached by three other youths wearing dark clothing near the A2032 Littlehampton Road's junction with Northfield Road. After the robbery the suspect trio ran off in an easterly direction. Detective Constable Colin Taylor, of Worthing police investigations, said: "We would like to talk to anyone who witnessed the robbery, who noticed any suspicious activity or individuals in the area or who may have dash-cam or closed circuit television (CCTV) footage that may help with our enquiries." They should contact police online or phone 101, quoting serial 981 of 09/04. Information can also be given anonymously via the independent charity Crimestoppers online or by calling 0800 555111. DC Taylor added: "This was a violent but fortunately isolated incident. We would urge anyone who thinks they may be able to assist to get in touch without delay." Two boys aged 17 and a third aged 16 have been arrested on suspicion of robbery and attempted robbery. All three have been bailed with conditions and curfews until 7 May while enquiries continue.